We have the pleasure of photographing weddings at some of the best Hunter Valley & Newcastle wedding venues, we love when we get to go back and shoot a wedding at an old favourite and get excited at the chance to photograph at a wedding venue new to us. Hunter Valley and Newcastle have an ever growing number of wonderful wedding ceremony and reception venues, from country to coast, perfect for relaxed wedding weekends spent celebrating with family and friends. With the trend, at the moment being on blank canvases and creating your own wedding space we are seeing more and more unusual and unique wedding venue ideas springing up around us all over the Hunter. It make us very happy be part of the ever evolving wedding industry and we would like to share with you a few of what we think are the best Hunter Valley & Newcastle wedding venues. We are very happy to point you to an uniquely invaluable resource which we are proud to be part of 'Weddings Around' is an online wedding directory which showcases the best Hunter Valley & Newcastle wedding venues using 360° photography to take you on a virtual tour of each venue space, this is such a helpful tool for couples and families who live out of state and is a great way to compare and eventually choose you perfect wedding venue. Click on the links beside each venue to immerse yourself in these amazing Hunter Valley & Newcastle wedding venues. Beautiful white washed Chapel wedding overlooking the vineyard at Lovedale. This rustic country style wedding venue is a hidden gem in the beautiful region of Lovedale in the Hunter Valley. Nestled at the side of its picturesque vineyard is the quaint chapel for a romantic wedding ceremony. The onsite reception centre make this a convenient and relaxed choice for the perfect wedding day. Your own exclusive piece of heaven in beautiful Broke. A stunning, privately owned estate, set on 100 acres of picturesque countryside. 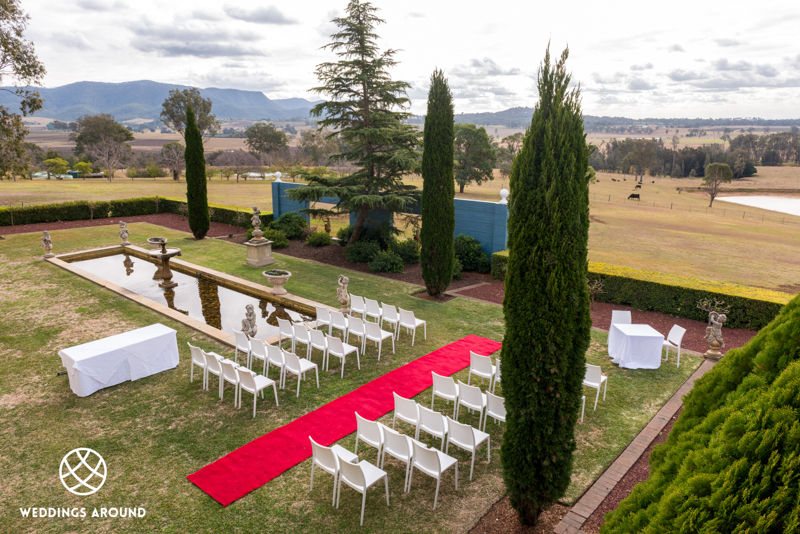 Magnificent views over the Brokenback mountains, and everything onsite to cater for your perfect wedding weekend with friends and family. A working vineyard wedding wedding. As native as it gets, natural bushland inc wildlife. Traditionally styled Homestead and Wedding Ceremony Pavillion. A large exclusive space maintaining a country charm. 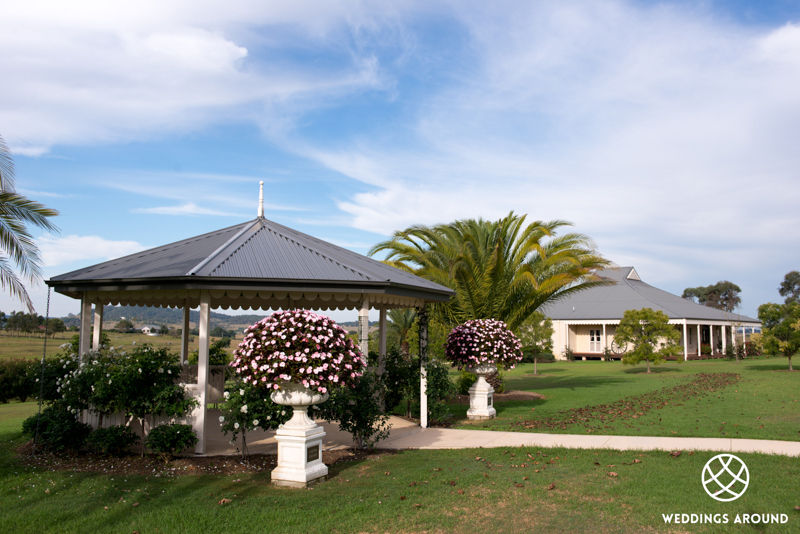 All weather, purpose built wedding venue in the Luskintyre, Hunter Valley. Beautifully kept lawns and courtyard, private chapel and grand barrel reception hall. Luxury Hotel and resort wedding venue, stunning gardens and walkways with views across the valley. a beautiful designer hotel featuring restored colonial style buildings and intricate lawn areas. Timeless elegance whichever of the magical wedding ceremony locations you choose. Couples can stay in the Manor House and there are plenty of rooms for family and friends. Click on a thumbnail to get an exclusive virtual tour of these stunning garden locations all to choose from at the Hunter Valley Gardens.